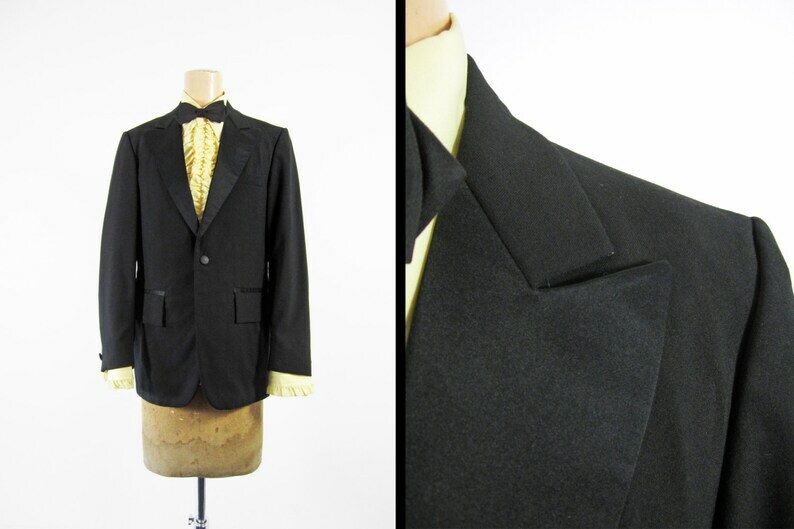 This tuxedo jacket dates back to the 1970s and was originally sold in Delmar, NY by a local tailor. It's in excellent condition and is slim fitted with a very sharp silhouette. Features include a skinny peak lapel, full inside lining, and satin detail on each pocket. This jacket is labeled as a men's size 36 R but please compare the measurements below to your favorite jacket, laid flat, before purchasing.